The schedules of the school year, of sports and other recreational activities, of work and all that is part of the rest of the year have been put on hold for rest, relaxation and recreation. One of the best parts of summer is looking at the calendar of July and August in comparison to the rest of the months … there are so many clean blocks, with no writing on many of the days of the week. The calendar in FULL of whitespace! 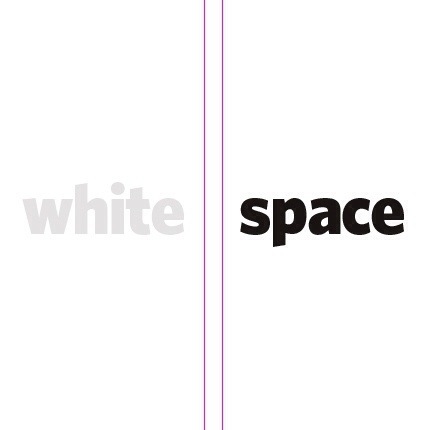 Whitespace is the part of paper that is not written on. Enjoy this guest post from Bonnie Gray. “I didn’t want to get out. But Daddy swung the car door open. My parents had just divorced and Daddy took me and little sister to the toy store one Saturday morning. He wanted to buy us something to “Remember Daddy loves you,” as he placed the plastic bag in my hand at checkout. But, all I could think about was Momma. What she told me that morning. That I better not take anything from him. I didn’t know it at the time, but that visit was going to be the last time I ever saw him again. I was a little girl, seven years tall. Daddy kept telling me, “It’s okay. It’s okay.” But I didn’t want to walk up to the porch. My legs drilled down into the ground like roots to a thicket of thorns at the bottom of concrete steps. My Daddy put one hand on my back, pressing me forward, as he grabbed my little sister’s hand in the other. He rapped on the screen door while I blinked and sucked my breath in. As I held myself there for a million years, the door flew open. There she stood. Over me. Even behind the screen, I could see Momma clearly. Her ragged jawline, her teeth clenched and face flushed. Her chest heaving. She took one look at me, at the plastic bag I was holding. I could see it in her eyes. And I broke apart in a thousand pieces right then and there. I knew I shouldn’t do what I did next, because it would make everything worse. But, I couldn’t help it. I started shaking. Tears began to erupt and my mouth pulled down into a trembling sob. I couldn’t swallow them down. So I began to cry. Things didn’t go well for me that day, as I stood there at the screen door out on the porch. There was no space for me. I was split between who to please and what to do. I could not find rest. Even though I’m all grown up now – mom to two adorable boys, married to a loving husband — deep inside, I’m still that little girl looking for rest. Longing for space to breathe. To feel and dream dreams. But, stress seems to always be one step ahead of me. I’ve wondered if I could ever really stop. Then, God allowed my life to come to a big stop. Two years ago, at the cusp of a childhood dream coming true – writing my first book – I was launched into a debilitating season of panic attacks, insomnia and anxiety. Writing triggered memories to come alive. I began reliving them. I’ve done much harder things in my life, free of panic attacks. I grew up as the oldest child in a single parent family, put myself through college, and launched first-to-market technologies in the high-tech world. I’ve even traveled halfway around the world as an overseas missionary. God was allowing my exhausted, weary self to surface, so that I could go on a new beautiful discovery: the journey of rest. When we come into contact with stress, our natural response is to push through. We don’t want to be in need or fail to meet others’ expectations, especially our own. We beat ourselves up for not trusting God. Putting our hearts first—letting Jesus love us—is a new journey of resting with Him. As people of faith, our response to stress is not to avoid it. What we need is rest. What we need is spiritual whitespace. We are not project plans for God. We are not God’s stock investments, where our value rises and falls with performance. God after all is an artist. And we are His works of art. I ended writing a different book than I started. I wrote a memoir-driven guide about my search to find rest and the answers as I found them. Rest is a journey we don’t have to take alone. We need each other. Let’s live a better story. Move beyond surviving. Take the journey to rest. Find your spiritual whitespace.